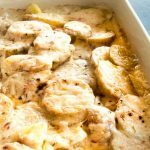 Caramelized melty cheese over this Creamy Au Gratin Potatoes Recipe is an easy side dish for any occasion. Rich cheesy sauce layered throughout overlapping potatoes that will become a dinner staple! 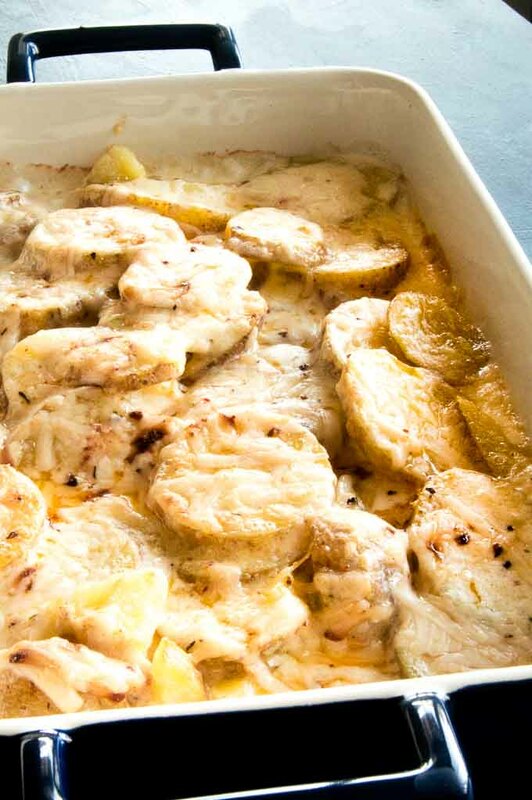 On of the most popular recipes on my site is this recipe for Extra Creamy, Easy Scalloped Potatoes. Now don’t get me wrong, they are truly delicious. 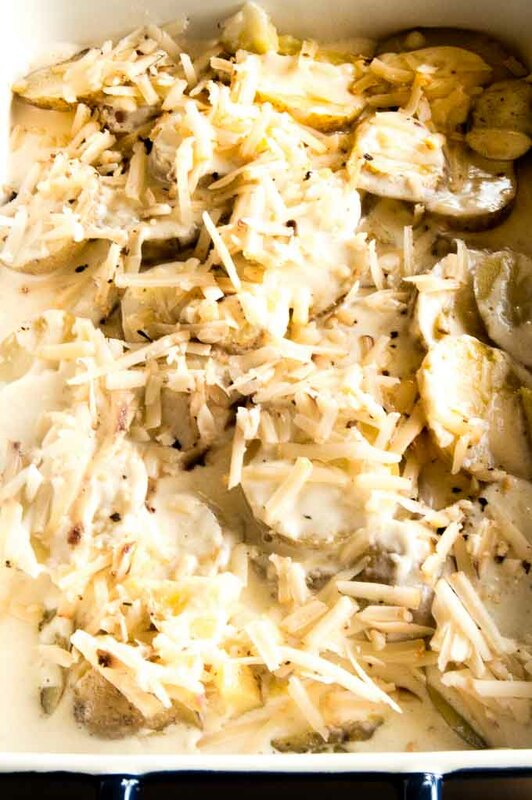 But todays recipe for Creamy Au Gratin Potatoes is even better! It is made the same way but has one small addition to the recipe. 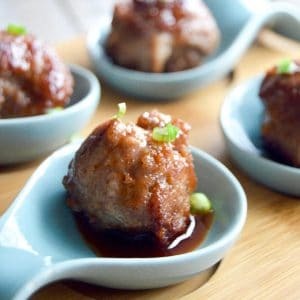 The difference is the addition of cheese into the sauce then even more cheese sprinkled over the top to caramelize have gooey melty cheese in every creamy, saucy delicious bite! The definition of Au Gratin (Oxford dictionary) is sprinkled with breadcrumbs or grated cheese (or both) then melted. 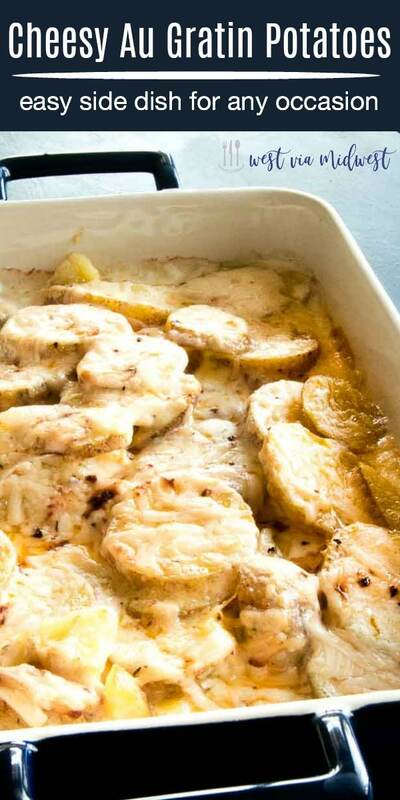 Scalloped potatoes are a potato dish that is baked with milk or sauce. So essentially when you have a scalloped potato you have a velvety sauced potato dish and if you want au gratin you add cheese to it! Either way you make them, your company will love them. They are a true easy comfort food! You want to select a cheese that when melted will caramelize, like the hard cheeses like cheddar. 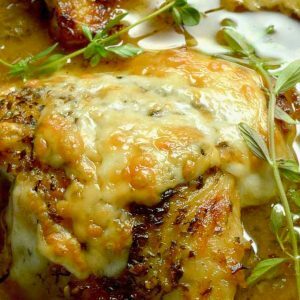 You can use more soft moly cheeses such as goat cheese or brie cheese, but those usually work best in the sauce only and then you can use one of the hard cheeses to sprinkle over the top. Parmesan Cheese is a good cheese to use to sprinkle over the top. 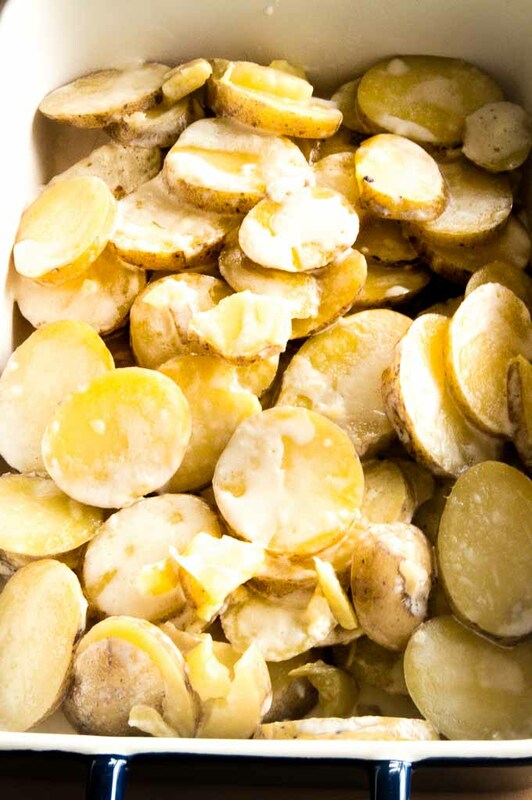 You can peel them if you want, but leave the skin on (after scrubbing them clean) for a rustic potato dish. 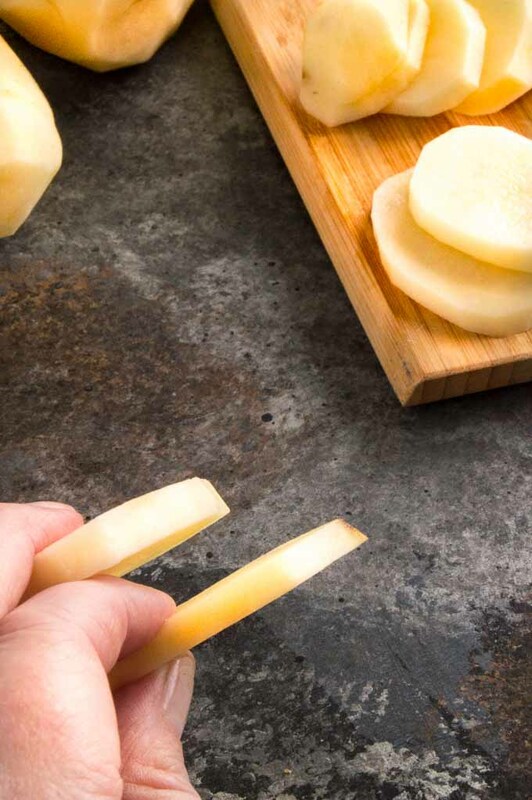 Slice potatoes into small discs. Being consistent in the sizing will help with even cooking of all of the potatoes. 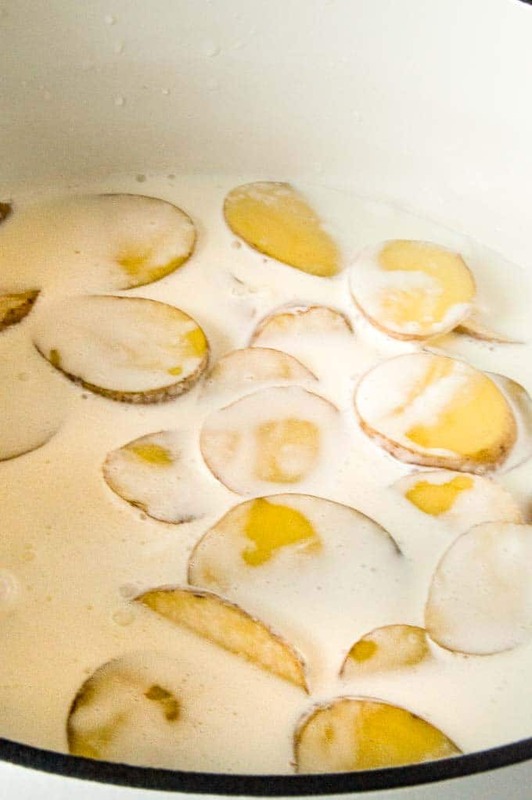 To make sure the potatoes are completely cooked you will boil them in the heavy cream/whole milk after they have been slices until they are just shy of being done. Then you will place the potato slices into a baking dish and layer the potatoes (making sure they overlap.). If you really like cheese you can sprinkle some of the grated cheese in between the layers for more cheesy goodness. PRO TIP for ENTERTAINING: Make these potatoes a day ahead and do the final baking at the time you want to serve them. You will need to remove the potatoes from the fridge an hour before you’re ready to bake to allow them to come to room temperature. The baking time may need to be a few minutes more to heat them throughout! Garlic Sugar Snap Peas~ made in 20 minutes!! Place potatoes into a large stockpot. Then pour heavy cream until they are just covered. Add salt and pepper over the top. Use a large stock pot so they don't boil over, using too small of a pan will boil over and create a big mess on your stove. 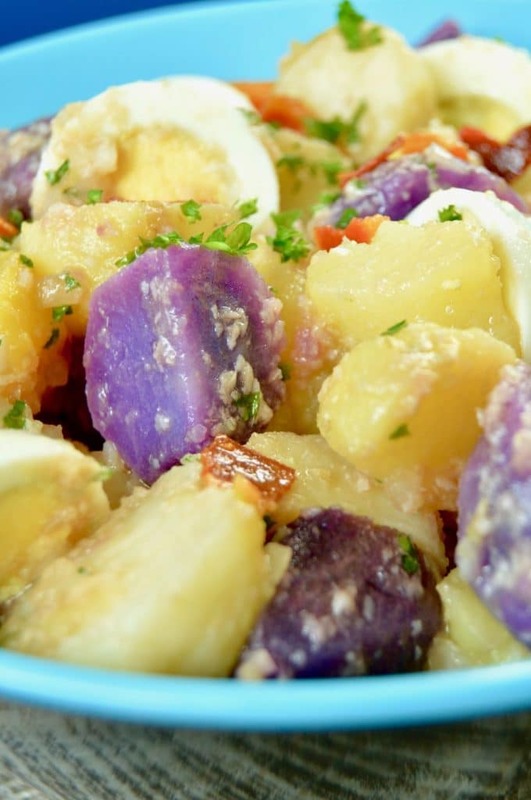 Scoop out carefully the potatoes and place them in a baking dish. Turn the heat back on to medium heat. Add 2/3 of the shredded cheese into the mixture. Then pour the cream/cheese mixture over the top. Sprinkle last 1/3 of grated cheese over the top of the potatoes/cream mixture in the baking dish. 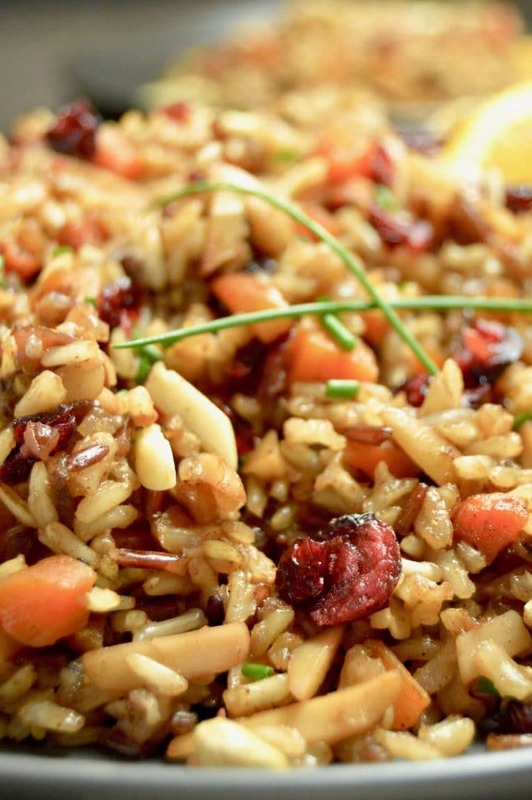 This dish is even better if made early in the day or a day ahead. If you make It ahead, do the final bake right before serving. Remove from fridge 1 hour before you are ready to bake (to allow it to come to room temperature.). Bake at 325° for 20-30 minutes until heated throughout. That is one big pan of total comfort food! 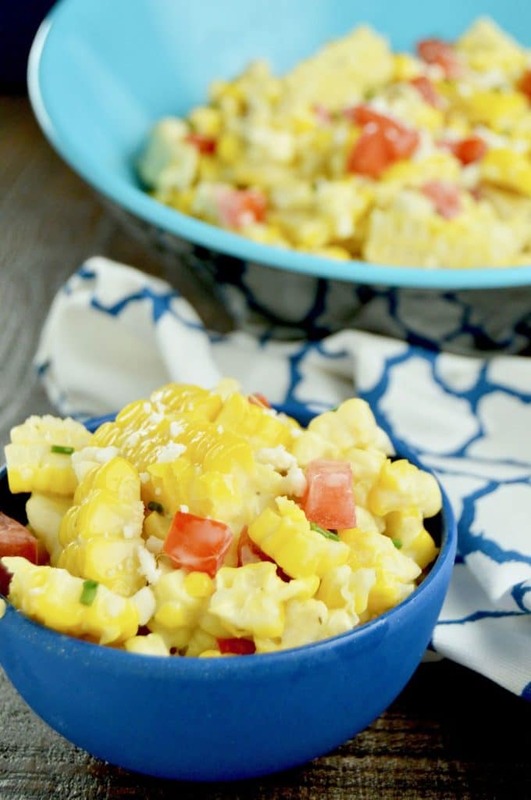 I love all of the creamy goodness in this recipe! I’m drooling! 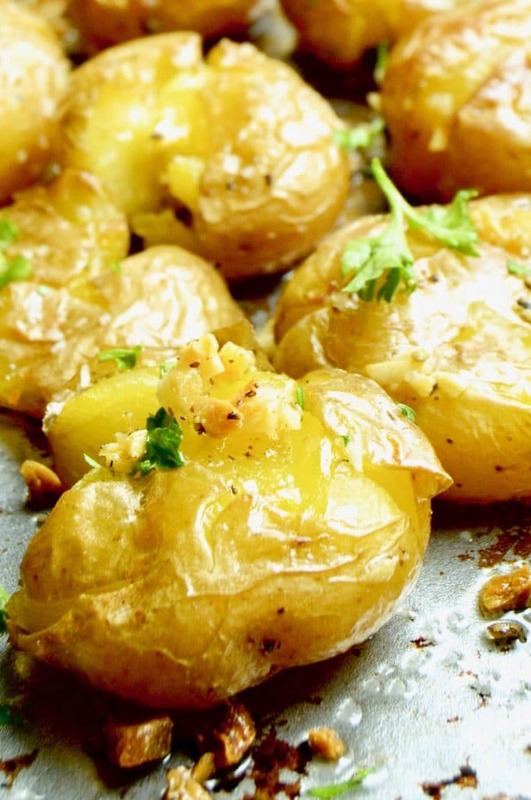 Love your suggestion of skin on for a rustic dish too, these potatoes are seriously to die for! Seriously, girl?? 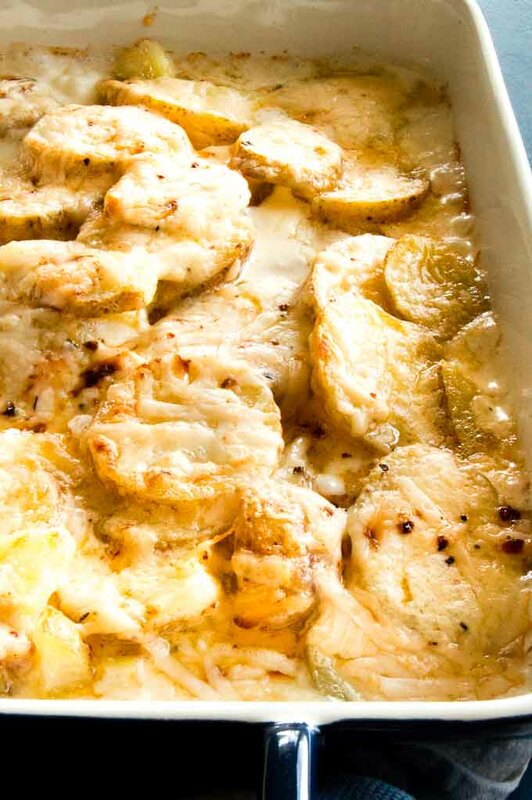 These are about the most delicious Creamy Au Gratin potatoes I have ever sunk my teeth into!! 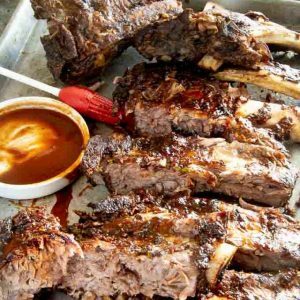 They were the hit of my Father’s Day menu! I love gratin!!! One of those special indulgent sides that everyone just goes crazy for. 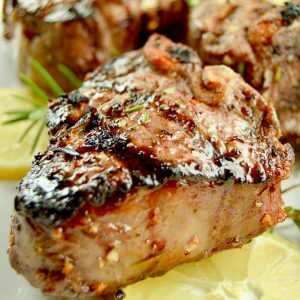 This is a great looking recipe that I know my family will love!! 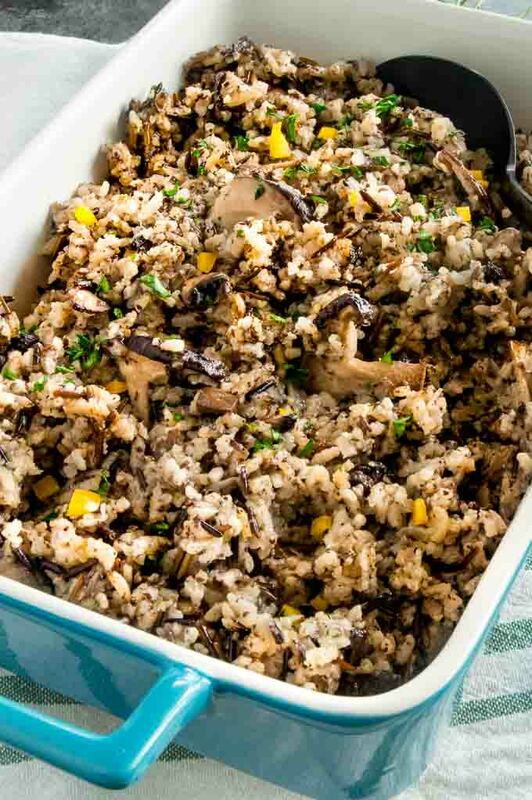 Great side dish to any main meal. We served this cheesy au gratin potatoes with a meatloaf. Sure turned a classic dish into a gourmet meal! 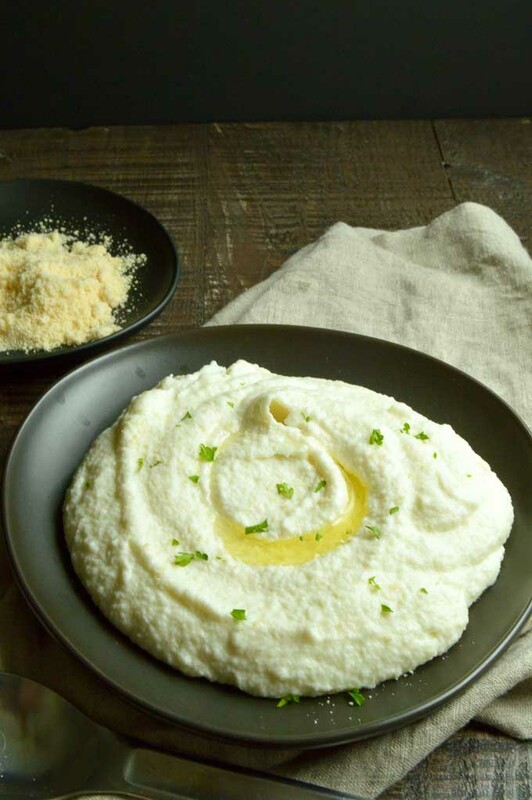 Thanks for sharing this simple yet classic comfort food favorite. Our family practically lives on potatoes, especially in the cold winter months. I’m book marking this one and I know our kids will love it. Thanks again for sharing! Thanks for the information about the cheeses and potatoes to use. Rich, cheesy and irresistible! These au gratin potatoes were delicious!!! I did not know the difference. Thank you for clarifying it 😀 I love potato and cheese combination. They are the best. Thank you for the recipe.